Are you thinking of hosting a pole party? You've come to the right place! 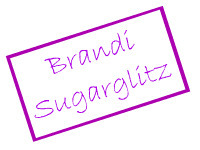 Get answers to all your pole dancing party questions and find out all you need to know to make your party a smashing success! Pole parties are hugely popular these days, but I know you may still have questions about what goes on, so I created this information page to help you figure it all out. I explain what a pole dancing party is, how they're usually structured, and how to find someone who can do a party for you, either at your home or in a studio. I also provide links to lots of other pole party info below, to get you started planning and preparing for your big night. 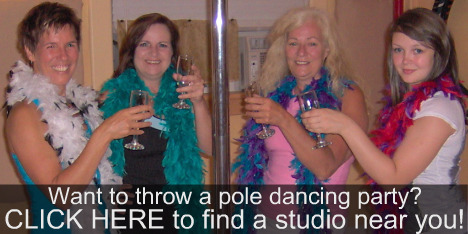 Read on and enjoy...I hope you find this information helpful in planning your pole party! What Happens At A Pole Dance Party? Typically, a party involves 1-2 hours of pole time in a structured format that takes everyone from basic dance moves to building a simple routine by the end of the night. There are often extra party touches included or available as add-ons, such as a champagne toast, decorations, costumes or props, photo opportunities, performances and goody bags. An instructor or party facilitator guides the group through the evening, teaching and demonstrating the moves, helping everyone to feel comfortable, and most importantly, keeping the energy level high. A pole dance party is all about having a great time with your girlfriends, so your party presenter should definitely be an expert in fun! Most likely everyone in your group will be required to sign a waiver, and there should be some basic safety information given. For example, you'll probably be asked to remove rings and other loose jewelry, and to wash any lotion off your hands (hand lotion and dance poles are a dangerous combination!). During this time, your party presenter will introduce herself, and might have some fun activities to get you in the party mood, like choosing your own pole dancer name for the evening. There may also be a champagne toast, or some other "ice-breaker" activities. Your party presenter may also give her own little pole party info talk, to let you know what will happen and to set the stage for the fun to come. When it's time to get started, there will probably be some kind of warm up to get you ready for the evening. While you'll definitely be having fun, pole dancing can be quite a workout even at the beginner level. That's why it's important to warm up so you don't hurt yourself. Now it's time to get down to business! During the main part of the evening, your instructor will demonstrate different moves and help everyone learn them. If you're in a home setting, you'll more than likely be gathered around a single dance pole encouraging your friends as they try the moves. If you're in a studio setting with several poles, you may be sharing with another person or two. That way, you'll get to help and support each other while you learn and laugh. Time will fly by as you're learning the moves, and before you know it the evening will be coming to a close. Often the instructor will encourage each participants to show off their moves for their friends in a "pole performance" at the end of the night. Some people can be really shy about this, but with a little encouragement from the rest of the partygoers everyone usually takes a turn. Sometimes costume items or props like boas, hats and wigs are provided, to make this even more fun. And if there's a guest of honor such as a birthday girl or bride-to-be, she'll often be asked to dance last, as a grand finale to the evening. As the party winds down for the night, you'll probably want a group photo on the pole. Your party presenter will normally be delighted to help by making sure she takes a picture with everyone's camera. Once the party wraps up, you may be asked to fill out a brief feedback or evaluation form before you leave. I encourage you to do this as it lets the presenter know how she did, and if everyone had a good time. Most studios and pole dancing teachers are interested in improving what they have to offer and getting feedback from you is the best way they can do this. To finish up the night, many studios and pole dancing teachers provide a small goody bag for each guest at the end of the party, as an extra treat and a "thank you for coming" gift. If there's a guest of honor, you can ask ahead of time about creating a special gift bag for her. Perhaps everyone can chip in a couple of extra dollars (or pounds, or yen) to include some extra special items in her bag. Keep in mind that every pole dance party is unique, but in general the pole party info above is typically the format that you can expect. For more details and additional pole party info, be sure to check out this page of questions to ask before you book a party, and also these ideas for pole party themes and special occasions. Was This Pole Party Info Helpful?